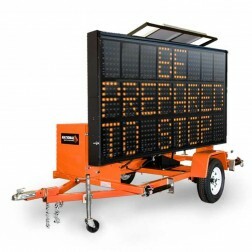 Arrow boards and message boards are great for both information and safety. With the large array of solar panels, these boards will maintain for many hours in the toughest weather conditions. 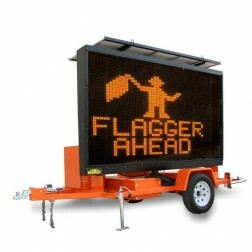 NorthStar Technologies is a leader in the design of construction arrow boards and traffic message boards. 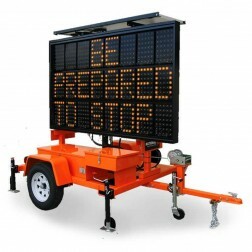 Arrow boards and construction message boards are traffic control devices used for additional advance warning and where a traffic lane is closed and traffic must merge with an adjacent lane. 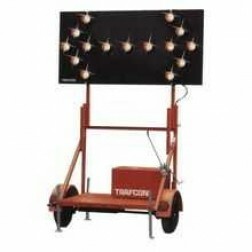 Construction arrow boards are generally used for lane closure, and slow moving maintenance activities, and road way repair work. 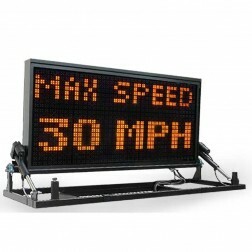 Flashing arrow boards are used for all lane closures on highways where the posted speed limits are altered. 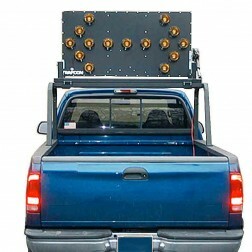 The arrow display should never be used on two-lane, two-way roads. 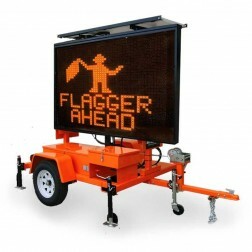 Arrow displays should only be used where traffic can be moved to another lane without danger of meeting on-coming traffic on multi-lane, single direction roadways. 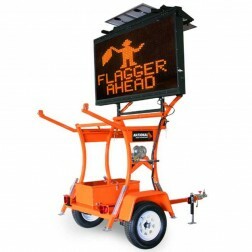 The four corner flash mode feature may be turned on to provide additional advance warning to motorists where an arrow display is not appropriate. 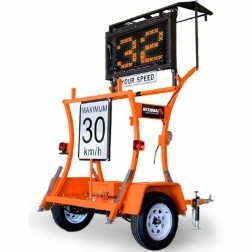 Arrow boards should be located to maximize the distance between the arrow board and the point where drivers first must see and understand the arrow.